It was a long awaited day off and I could think of nothing better that I wanted to do, than spend it by the water with one of my favorite people, Momma Bird. We spent about 4 hours wandering around the entire length of the lake, looking at all the little creatures, critters and chatting about dreams in the process of manifesting. 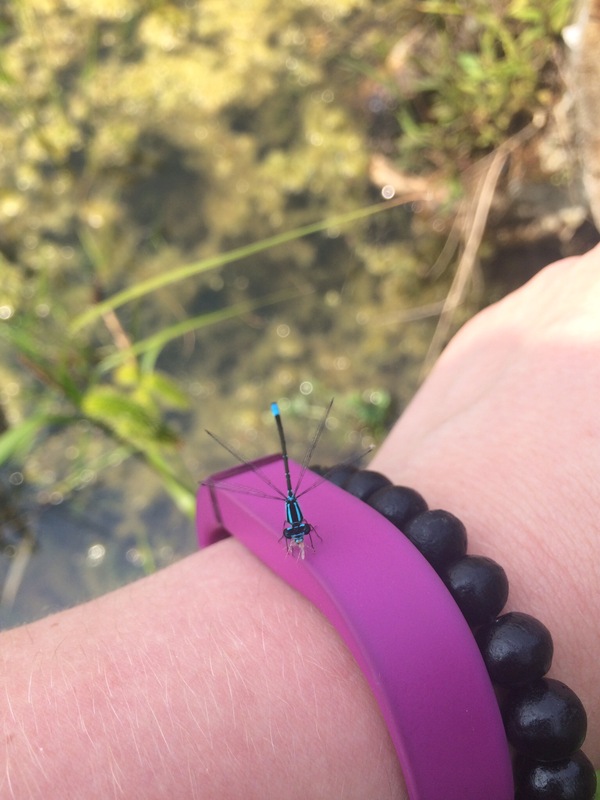 Something that stunned me was the way the dragonflies and butterflies were so abundant around us. The dragonflies were flying by all around us and one even landed on me while it was munching on some food as if to say, “The things you’re terrified of are staring at you with the utmost wonder so don’t be afraid at all,” mirroring back to me, what was so going through my mind about the dragonfly. 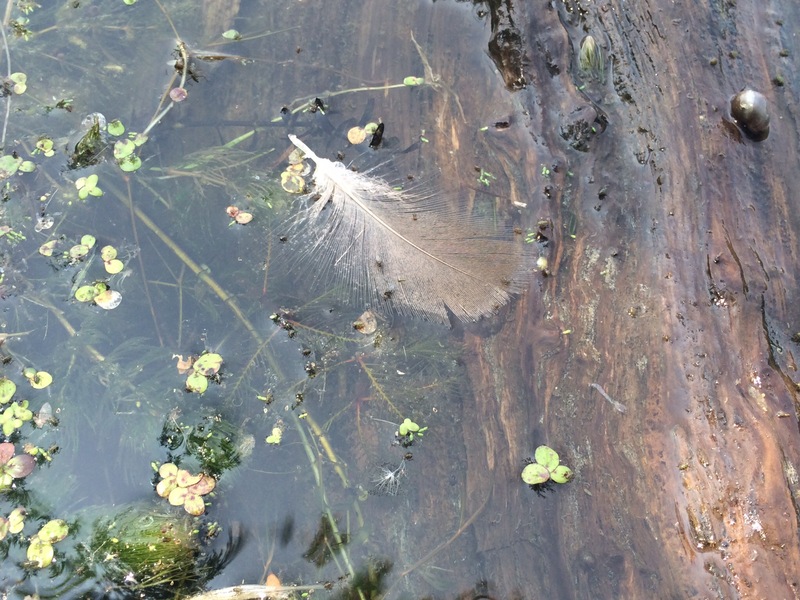 The heat of midday and the lush surroundings offered up so much beauty that you couldn’t help but stop at something as simple as a feather floating on the water’s surface, to take in how perfect everything was in that exact moment. Every time we stumbled upon a somewhat beaten path off the trail, we took it as it led to different parts of the water and the bullfrogs call, set against the buzzing cicadas in the trees around us. 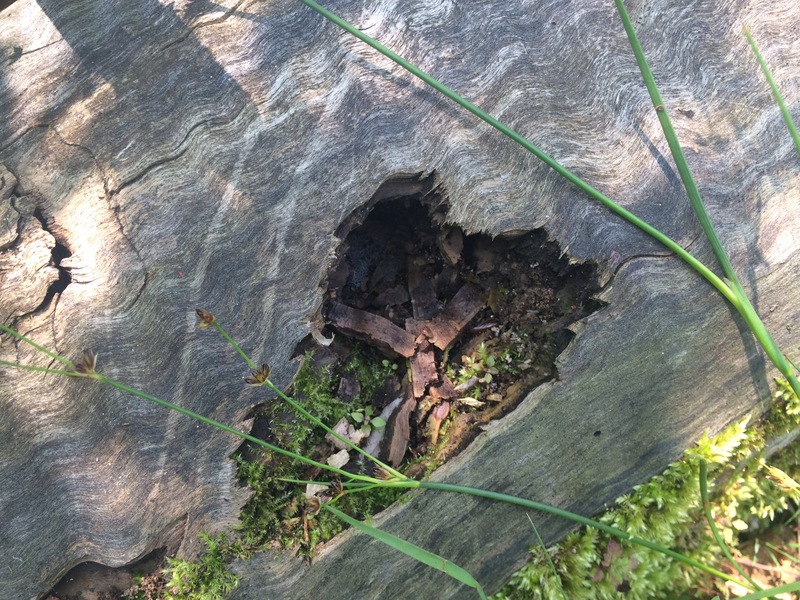 On the way through one such almost-trail, it was no surprise to me, to find a heart in a log, filled with all kinds of Earth and green. 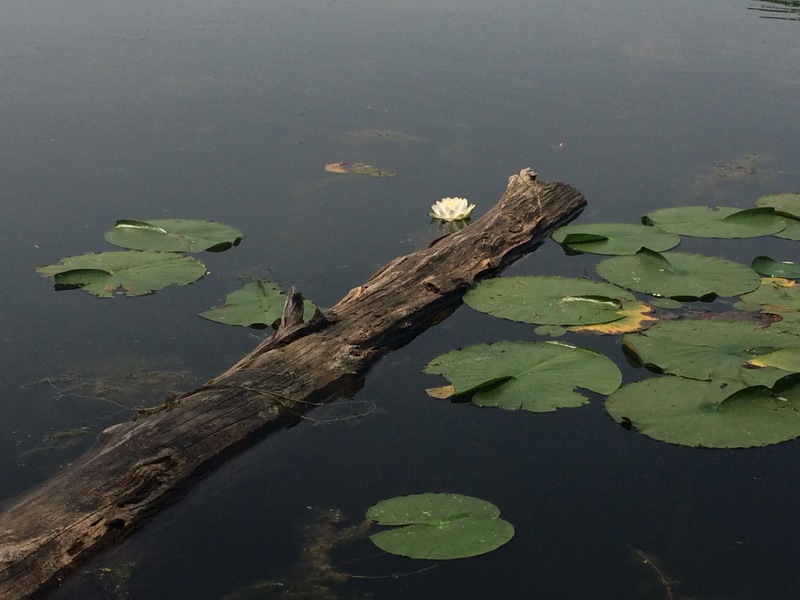 There were lilies too, speckling the still water like stars if you closed your eyes and squinted at the right angle. 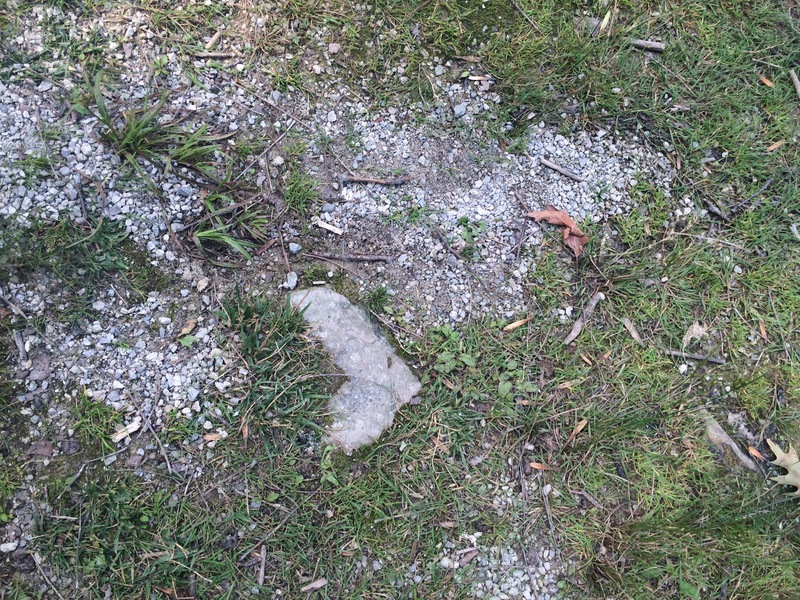 Making our way along the shore, we found rocks shaped like hearts, the path growing around them as if to mark the trail back home. Some days off are best spent relaxing and breathing in all the wonders this world has to offer while other times are made for the world breathing you in, and leaving so much abundance in its wake.